NO. 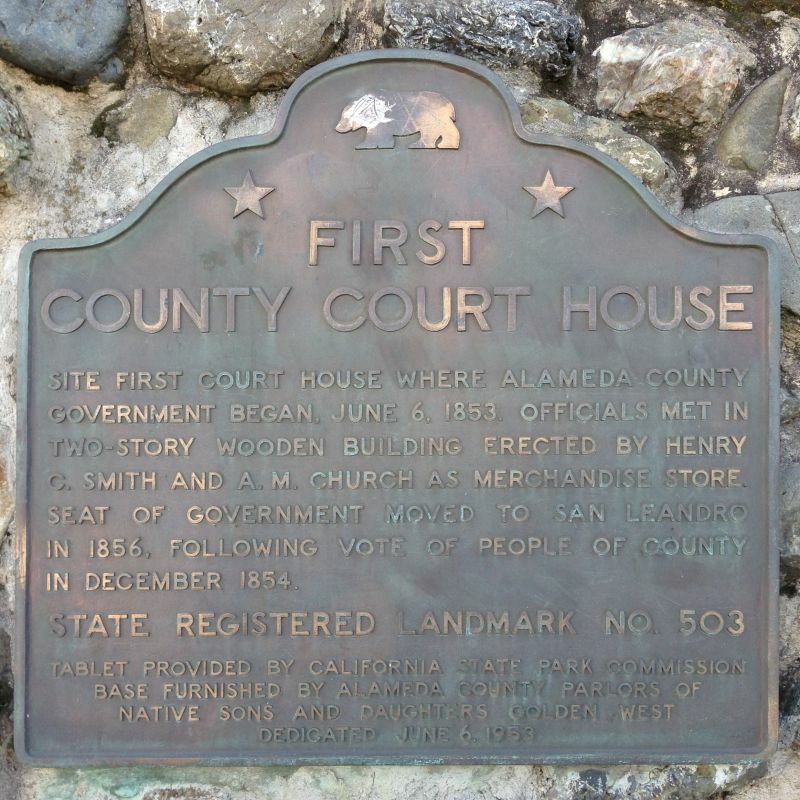 503 SITE OF FIRST COUNTY COURTHOUSE This is the site of Alameda County's first courthouse where county government began on June 6, 1853. Officials met in a two-story wooden building erected by Henry C. Smith and A. M. Church as a merchandise store. 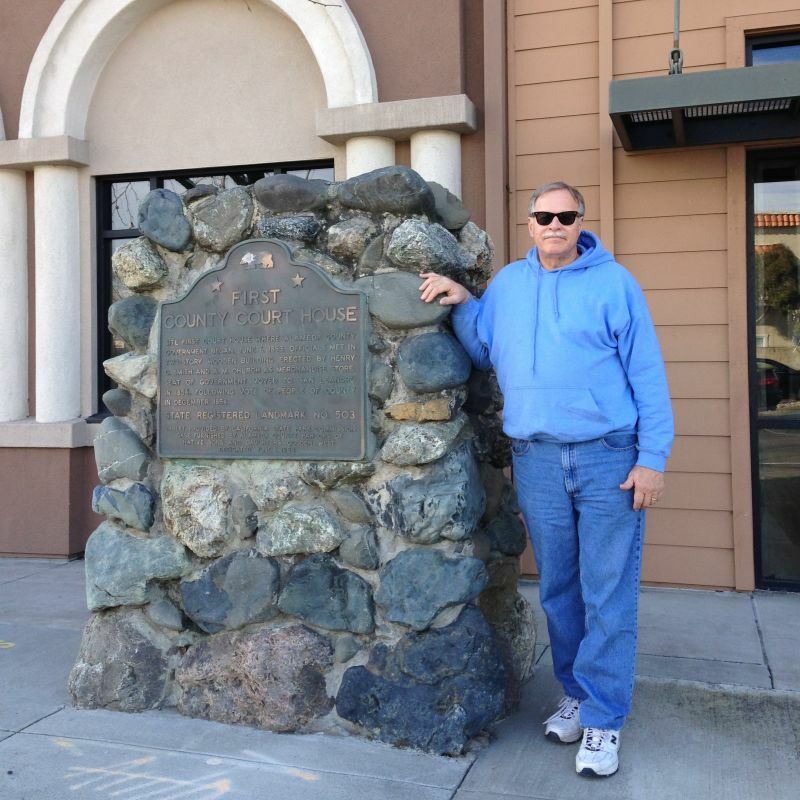 The seat of government moved to San Leandro in 1856, following an election in December 1854.